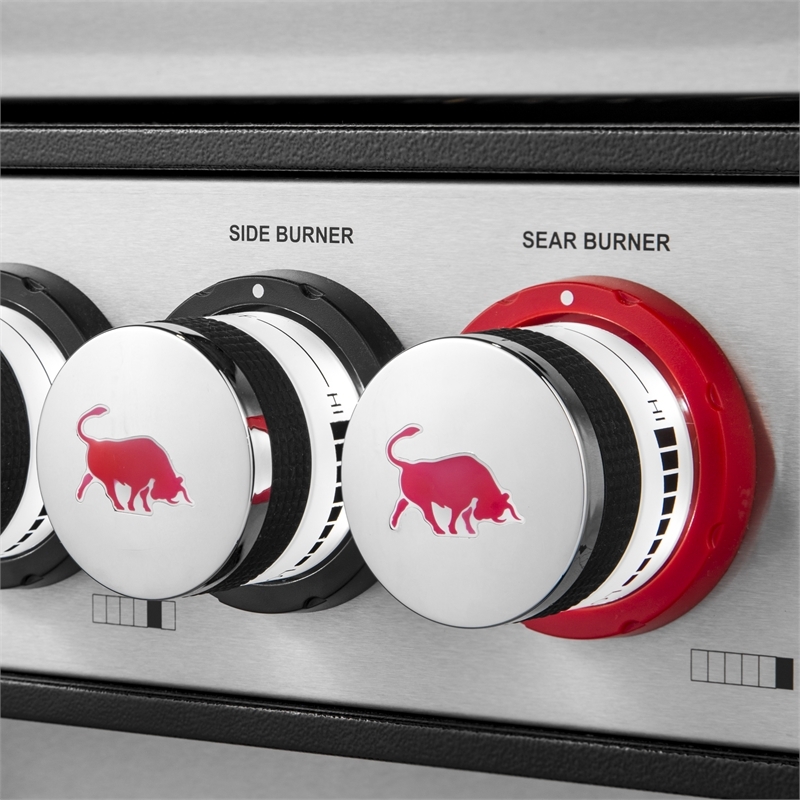 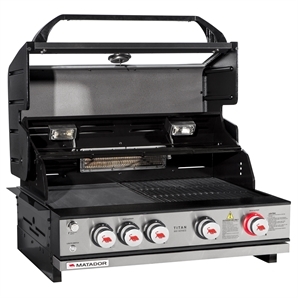 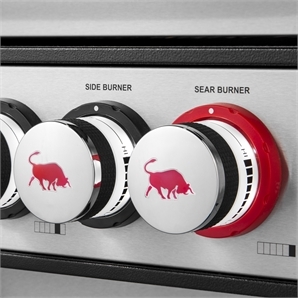 The Matador 4 Burner Hooded Titan built-In BBQ features enamel cast iron burners, satin enamel cooking surfaces, warming rack, zoned cooking functionality and new sear burner for high output cooking. 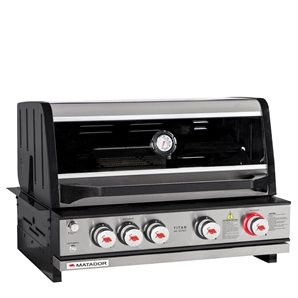 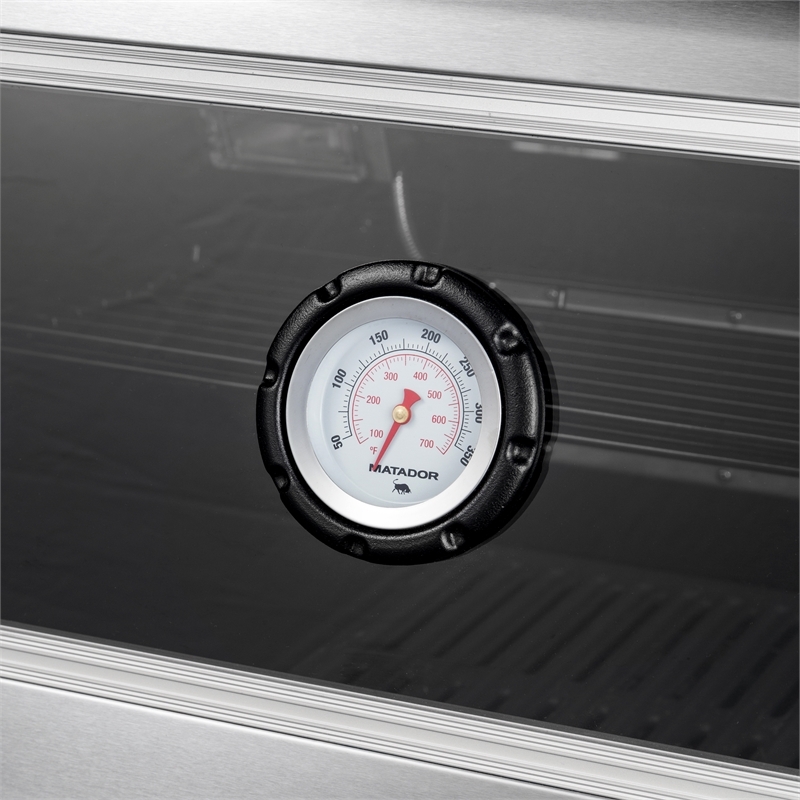 With a self-cleaning hood with viewing window and temperature gauge, this BBQ has a lot to offer. 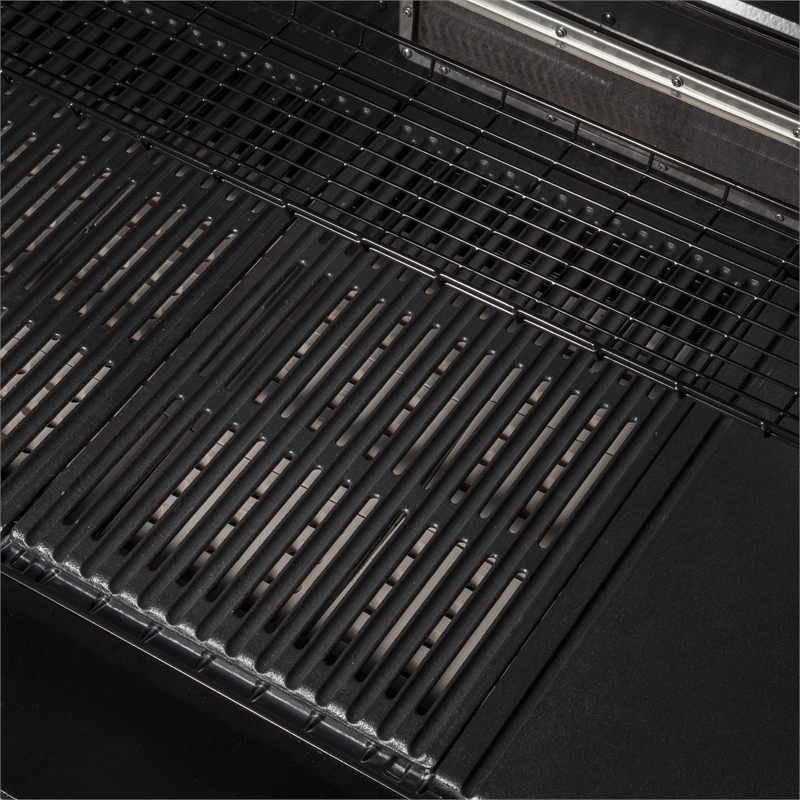 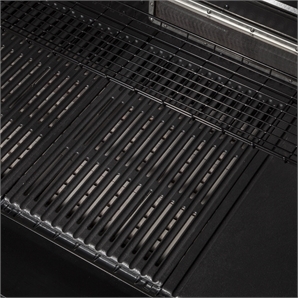 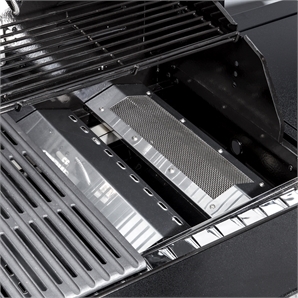 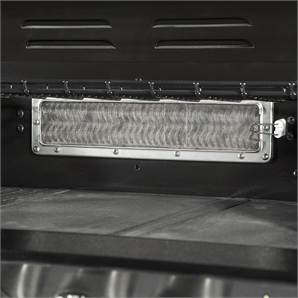 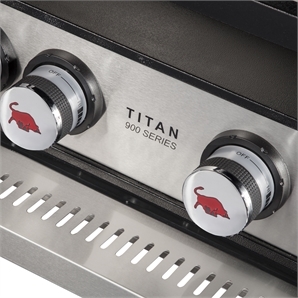 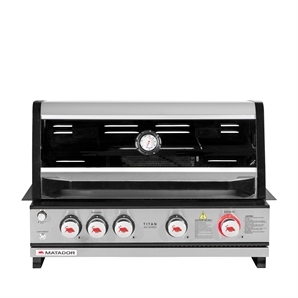 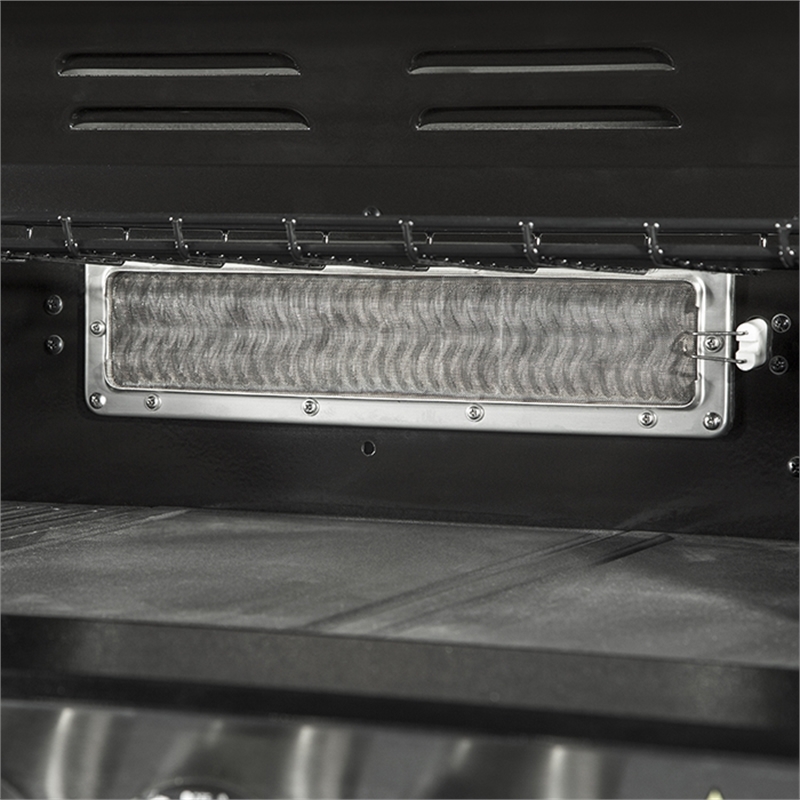 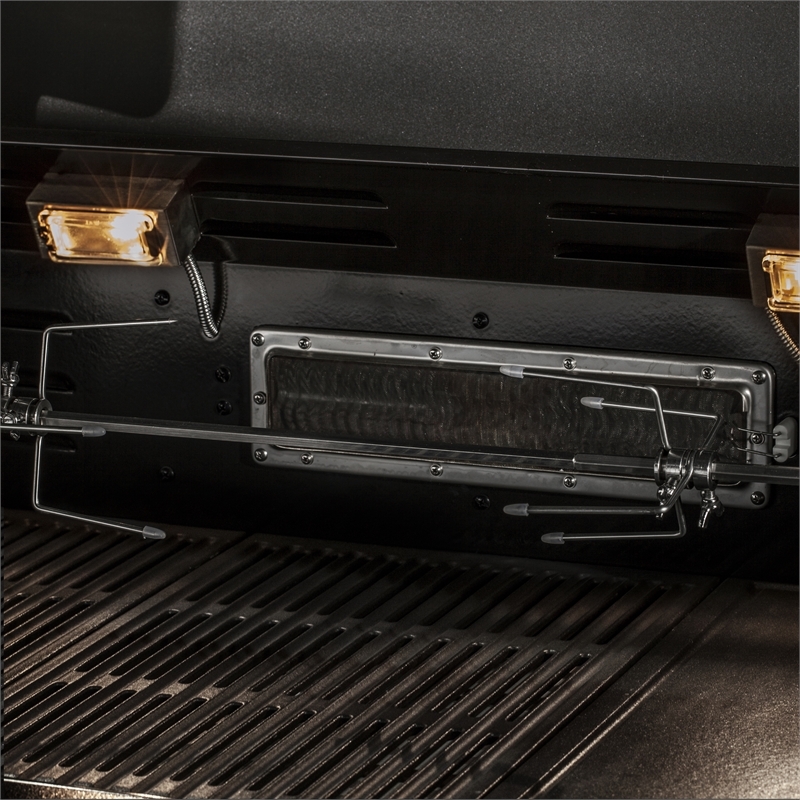 Featuring fingerprint free 304 grade stainless steel, this built-in BBQ also features backlit knobs and hood light.